The U2715H is part of Dell’s popular and well respected UltraSharp range. In fact Dell are arguably better known for their monitors these days than their desktop PCs. An UltraSharp is usually a sign of a high standard screen. But let’s take a closer look at what you are getting for your money when you splash out your hard earned on one of these bad boys. This UltraSharp is a 27″ 1440p display powered by an IPS panel. This means you’re going to get a fantastic clear image with great colour production. You won’t get the same viewing angle problems than you might get on a cheaper TN screen. You don’t get FreeSync or G-Sync included on this model though so at first glance this isn’t a screen that was built just for gaming. But that’s OK, especially if you value a balance between image quality and gaming capability. Sometimes we like to work on our PCs too..
Dell have established a firm reputation for well built monitors, the UltraSharp brand has always stood for well constructed premium monitors. Of course you pay for that, they aren’t cheap, but if you are looking for quality then it’s a good place to start. Connectivity is well catered for with 2 HDMI (with MHL), DisplayPort and Mini DisplayPort inputs, you also get a DisplayPort out which allows you to daisy chain devices. You should have no problems hooking it up to a modern GPU but also you’ve got the option of hooking up a console or DVD player through good ol’HDMI. The stand is simple, the silver styling looks smart and it provides a solid range of adjustment including tilt, swivel, height and rotate. The movements are easy to apply and smooth with it. There is also a black version of this model if the silver stand is not to your taste. The bezel is beautifully slim, I always think that makes a screen look smarter but it also makes it practical for multiple monitor side by side setup. As with any high resolution monitor you will need a decent graphics card to run it. 1440p is demanding and if you want great frame rates you’ll need some power behind it. Fortunately mid range graphics cards in the new generation, for example, at the time of writing, the Nvidia GTX1060 or the AMD RX 480 are more than capable. These cards will still set you back a couple of hundred quid but a few years ago you would be looking at two enthusiast level cards to run at qhd. If you are reading this in the future then the chances are 1440p will be trivial even for low end cards! Viewing angles are excellent, which is expected on an IPS screen, with little colour shift as you move from side to side. Normal IPS glow is apparent on dark images but this comes with the territory, it shouldn’t prove distracting unless you are particularly sensitive to the problem – in which case you may be better off looking at a different panel type. 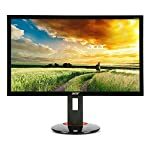 Professional testers have found that the response times compare well to other IPS monitors however there are faster options out there. The Dell does features some response time controls to allow you some configuration to get the balance right. 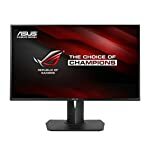 Note that it doesn’t include features such as fast refresh rate or adaptive sync tech, but that aside the overall gaming performance for this model seems to be reported as positive. Input lag is also reported as low enough to ensure the screen will feel responsive to gamers even in fast paced action games. We give the Dell U2715H a 4.5 out of 5 rating. Want to know what existing owners of the monitor think? You can read real user reviews here. 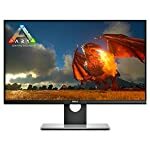 Should I buy the Dell U2715H? The Dell U2715H is a high quality IPS screen with great image quality. Whilst it isn't dedicated to gaming it does have some options to configure response rates and has suitably low input lag making it overall good for gaming. A good choice if you are looking for a balance between work and play. If you are having some doubts about this purchase then why not read some real owner reviews and see what other buyers think. Welcome to the Dell U2715H FAQ. This section attempts to answer common questions you may have, please get in touch if you have any more queries or if you think our answers need updating. 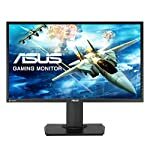 Can I use run monitor at 1440p with an HDMI cable? 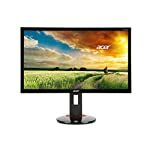 Owners of this monitor report that it can indeed be run with an HDMI resolution at the higher resolution. However others point out that the DELL documentation says it is not supported. If this is key for your use of the monitor then do check with the supplier first. A modern graphics card should have DisplayPort connectivity anyway. Is the screen a matte or glossy finish? It has a matte finish. No shiny shiny here.